Restore youthful vitality back into your complexion with Rodial Bee Venom and Placenta 24 Carat Gold Ultimate Crème, a rejuvenating moisturizer infused with Liquid Gold and Placenta Proteins to target 10 visible signs of ageing. Dedicated to smoothing and brightening the look of your skin, the youth-boosting formula delivers a concentrated blend of anti-aging ingredients, helping to reduce the appearance of expression lines, wrinkle depth and age spots. Nano Peptide encapsulated in 24 Carat Gold promotes a youthful-looking complexion, whilst Bee Venom, Vitamin C and Placenta Protein contribute to smoothing the appearance of skin and improving tone. Skin appears brighter, smoother and younger. 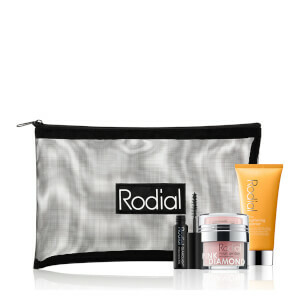 Enjoy 20% Rodial + Receive a FREE Rodial Lift and Reveal Collection (Wort $41) when you spend $125+ on the range.